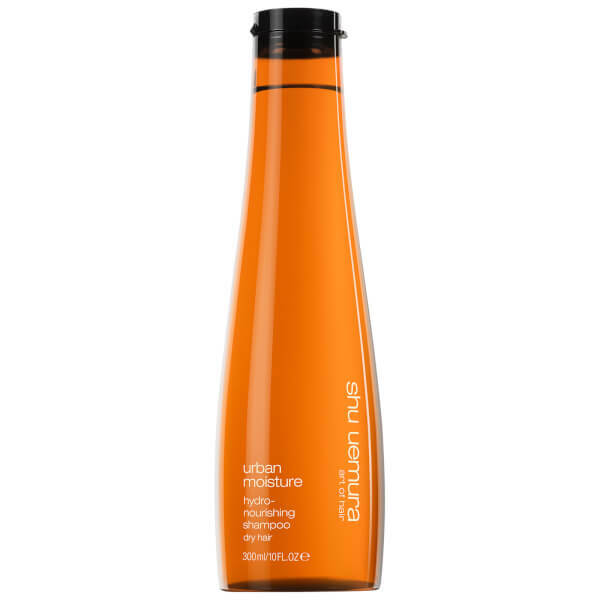 Refresh and revitalise with the Shu Uemura Art of Hair Urban Moisture Shampoo; a lightweight formula developed for dry hair under urban aggressors. Infused with Moringa Oil and Red Algae Extract, the luxurious shampoo gently eliminates pollution and impurities, whilst replenishing moisture to leave hair soft, smooth and healthy from root to tip. Locks are purified, protected and strengthened after use. Apply to wet hair, massage and rinse thoroughly. In case of contact with eyes, rinse them immediately. Aqua/Water, Sodium Laureth Sulfate, Coco-Betaine, Laureth-5 Carboxylic Acid, Cocamide Mipa, Glycerin, Amodimethicone, Sodium Chloride, Polyquaternium-10, Ppg-5-Ceteth-20, Sodium Benzoate, Peg-55 Propylene Glycol Oleate, Propylene Glycol, Salicylic Acid, Peg-60 Hydrogenated Castor Oil, Tocopherol, Glycine Soja Oil/ Soybean Oil, Alcohol, Hexyl Cinnamal, Hydroxycitronellal, Caramel, Sodium Acetate, Safflower Glucoside, Phenoxyethanol, Isopropyl Alcohol, Gentiana Lutea Root Extract, Moringa Pterygosperma Seed Extract, Corallina Officinalis Extract, Disodium Phosphate, Citric Acid, Bht, Sodium Citrate, Sodium Hydroxide, Parfum/ Fragrance.